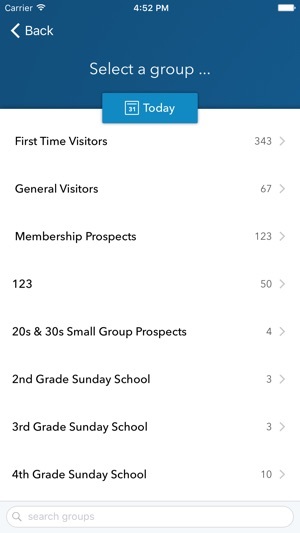 The ShelbyNEXT Membership iPhone app allows you to access all of ShelbyNEXT Membership's core features while on the go! - View lists of all members and groups, complete with thumbnails of profile pictures. - Use as a church directory, if enabled. - View all information for a person. 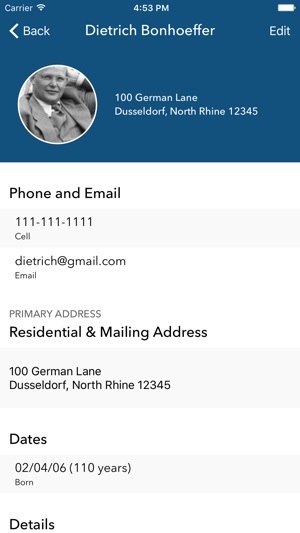 Including personal, contact, dates, custom fields, and family. - Tap profile image to add a new one. - Edit all fields, including custom ones. - Add/remove people from groups. - Print a summary page, using AirPrint. - Add a person to your Contacts. - Parents can check their kids in when close to church, so the labels are already printed and waiting for them, when they get inside. - View lists of Completed, Outstanding, and My Outstanding interactions. - Assign/Log a new interaction. 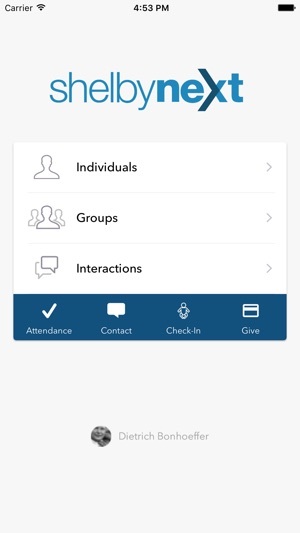 - Add/edit attendance for a group. - Add visitors who are currently in the system. - Create and add visitors. 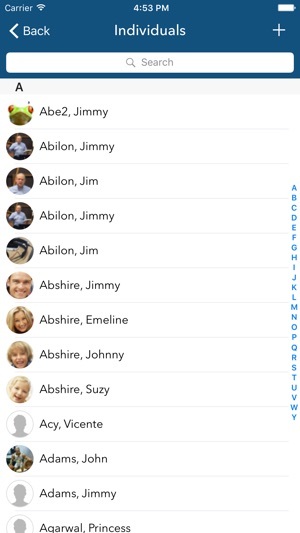 - Swipe left on a name to see more options. - Mass Email a group. Please note that this app requires a ShelbyNEXT ChMS account. Just about the smallest fonts I have ever seen in an app. 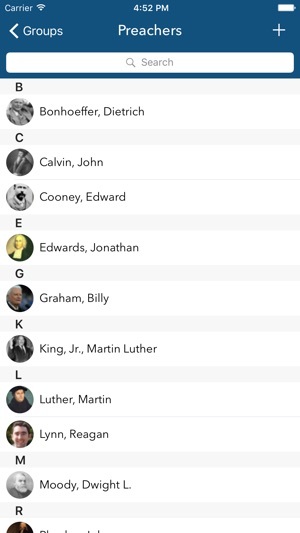 You need a magnifying glass to see the letters when composing a mass text. I doubt if even a 20-year-old would be happy with this font size. Come on, Shelby. How about supporting Apple’s Dynamic Type font sizes. If I’ve chosen a certain font size in Settings then that’s the size I need to comfortably view the text in ALL apps. iPhone X. It’s been four month for goodness sake. © 2019 Shelby Systems, Inc.